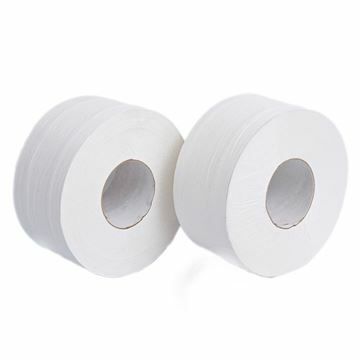 2ply mini jumbo toilet roll which measures 60mm x 150m. 2ply mini jumbo toilet roll which measures 76mm x 150m. 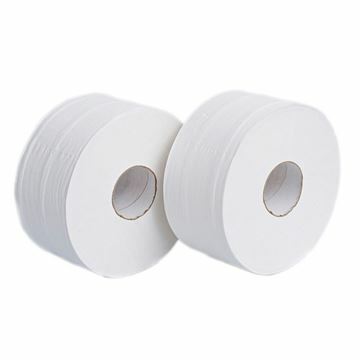 2ply mini jumbo toilet roll which measures 60mm x 200m. 2ply micro jumbo toilet roll which measures 42mm x 80m. 2ply midi jumbo toilet roll which measures 60mm x 250m. 2ply midi jumbo toilet roll which measures 76mm x 250m. 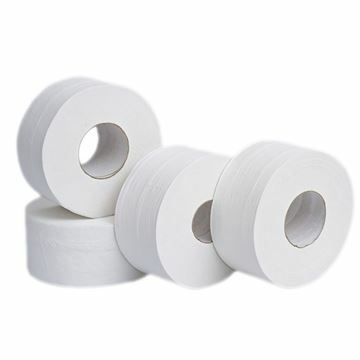 These premium quality mini jumbo toilet rolls are ideal for high capacity washrooms. They are cost effective and low maintenance. This toilet tissue is manufactured from Peter Grant's Pure tissue. This is produced using pulp sourced from registered, managed forests and is high quality with a soft luxurious feel. The Tork SmartOne® system (T9) is a unique single sheet cenrefeed dispensing system on a roll, perfectly suited for high to very high capacity span locations, even in the most demanding environments.